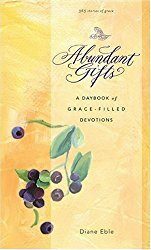 Welcome to the Abundant Gifts Blog! 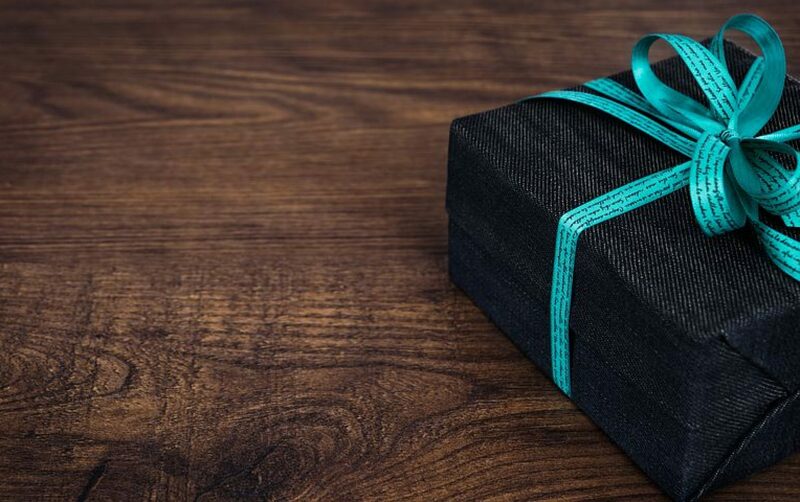 I write this web log as a means to share more Abundant Gifts type stories, keep you posted on the kinds of â€œgiftsâ€ God is giving meâ€”from recipes to the most profound â€œdisguised giftsâ€ that only become apparent as gifts later. I may also pass on news of interesting books, articles, other sites, even products that I believe will add in some way to the abundance in your life. Anything that has enriched my life in some way, that I believe will enrich yours also, will show up here. Feel free to post comments, share your stories, pass on links of your own to anything that has felt like a gift to you. My dream is that this virtual space will become a community where people share the many-splendored gifts that a generous God lavishes onto their lives. Hi Diane – I love your blog AND your book. The book has absolutely brought Abundant Gifts to me and I know yur blog will do the same. I was listening to a CHRISTIAN radio station, great program; at this point I am getting annoyed at the interruptions. I went back to listening to the important program, deeply affecting my life! I carried on with a ‘canned’ answer to happiness, the meaning of being in heaven with God because of belief in His precious Son -our Savior. Adult answers. Their was much silence. I returned to listening to the radio. Lexie breaks into a beautiful, made up song. She spent the rest of the ride home and most of the afternoon convincing me (and anyone else) that Jesus rhymes with God. At the end of the day, I knew this was more than an abundant blessing. My 4 year old, knows how to explain part of the trinity! Thank you, Diane. You help me to count these as blessings! Not interruptions to my day. Thanks, Shari and Maria, for sharing these inspiratiomal reminders. They came at a good time for me. “My whole life I have been complaining that my work was constantly interrupted, until I discovered the interruptons were my work.” This from Henri Nouwen, near the end of his life. Seems the past several months have been nothing but interruptions to what I thought was my work. This morning, one email rearranged my whole day. But, because God gave me the gift of this quote before that interruption, I am at perfect peace that this new direction is the work he has for me today. Diane, I hardly ever find time to read, but I just wanted to let you know I am glad I took the time today to read your blog. I especially like the “cosmic” analogy to giving birth that the experience of your new book has reminded you of. You always have a way of seeing the profound in the everyday, and your words are a great encouragement to tired moms like me. Sometimes it seems like everyday is the same, laundry, cleaning and cooking. But we’re all on a “mission from God”, and it really helps if we can sit back, reflect and realize this once in awhile! I know motherhood seems to be drudgery 90 percent of the time. We need to remind ourselves often that all the little things add up to a big bonus–character building in our children, giving them a sense of security, modeling how to live and love. Janet Penley says moms are “peace-time soldiers,” equipping children to go out and win the battles of life. I like that.